Hemplucid’s MCT Oil is full-spectrum, hemp-derived CBD paired with MCT, a rapidly digested carrier oil. MCT oil is easily metabolized by the body, and the healthy fats are reported to encourage the use of fat for energy. Numerous studies suggest that MCT fats may help support a healthy body composition, as well as enhanced brain health. Combined with CBD, this amber-colored oil is a perfect addition to an active lifestyle. This natural, health-promoting product has a mild hemp flavor. MCT Oil may be used under the tongue, or added to COLD foods like salads, soups, and smoothies. Hemplucid’s uses a medium-chain triglyceride (MCT) carrier oil to deliver the lasting benefits of our full-spectrum, hemp-derived CBD. MCT is a great way to deliver the synergistic entourage effect that comes from the cannabinoids and terpenes found in the whole hemp plant. This is one of our longer-lasting CBD tinctures. Perfect for those who prefer to take their daily dosage and experience effects for hours throughout the day without having to re-dose. A serving is 1ml or approximately 3/4 of a dropper. This natural, health-promoting product has a mild hemp flavor. MCT Oil may be used under the tongue or added to cold foods like salads, soups, smoothies, or other recipes. 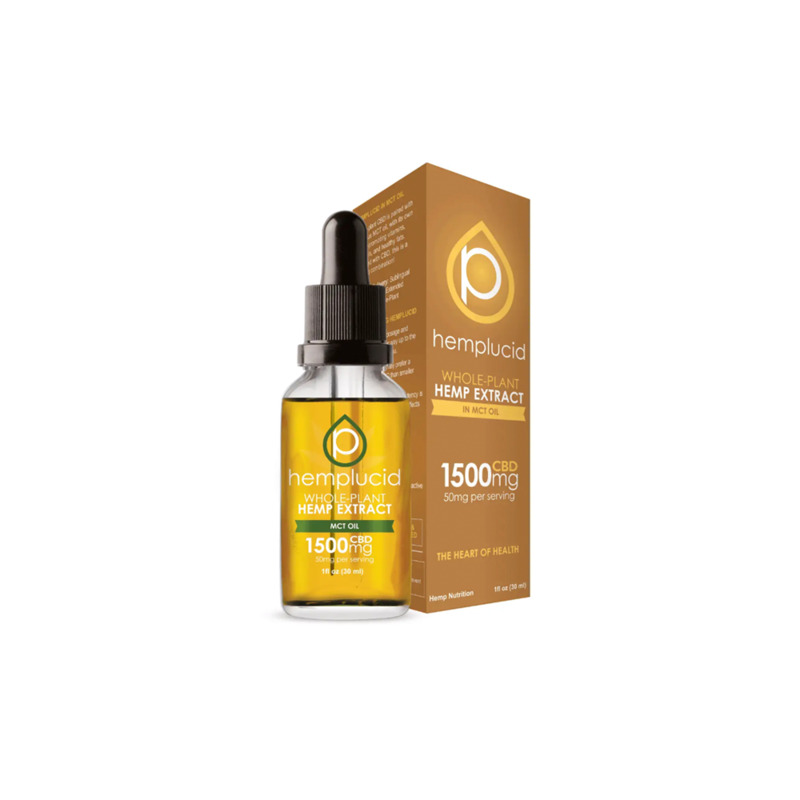 Hemplucid’s MCT tincture is extremely effective if ingested sublingually. Place 1ml or your preferred dosage under the tongue, holding it for thirty seconds before swallowing. CBD begins absorbing into the mucus membranes in your mouth and breaks down through your liver and enters the bloodstream quickly and effectively. The effects of Hemplucid’s Whole-Plant CBD delivered in MCT are long lasting, and the health benefits of this sublingual oil will resonate with consumers throughout the day. When the holistic effects of MCT itself are combined with the therapeutic benefits of CBD, users experience the full range of health benefits that this Hemplucid product has to offer. This amber-colored oil is a perfect addition to an active lifestyle.